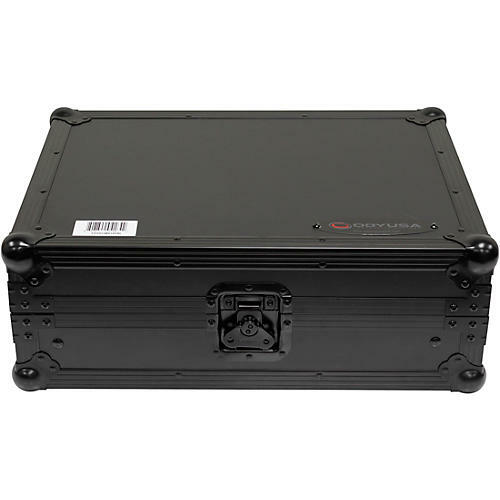 Transport your 12" DJ mixer in style with Odyssey's foam-lined XD Series Black Label™ FZGS12MX1XDBL mixer case featuring a patented gliding gear platform over the mixer that you can slide forward and backward as needed. It's perfect for your laptop, beat pad, tablet, or other mixing performance gear. The low-profile design makes it easy to store and take to your gigs. A removable front panel provides full protection during transit but slides out for access to front mixer controls during use. Glide platform dims. are 15.75" x 12"
Mixer compartment: 13.25" x 20.75"
Approximate Dimensions (exterior): 17.75" x 8.25" x 23"